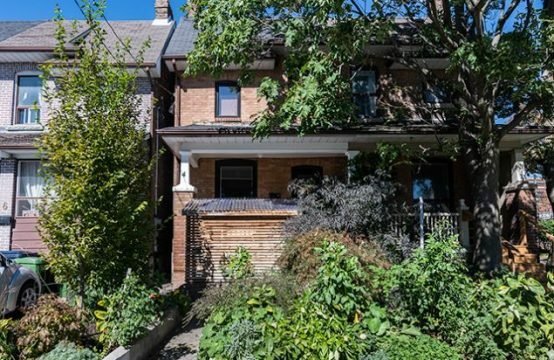 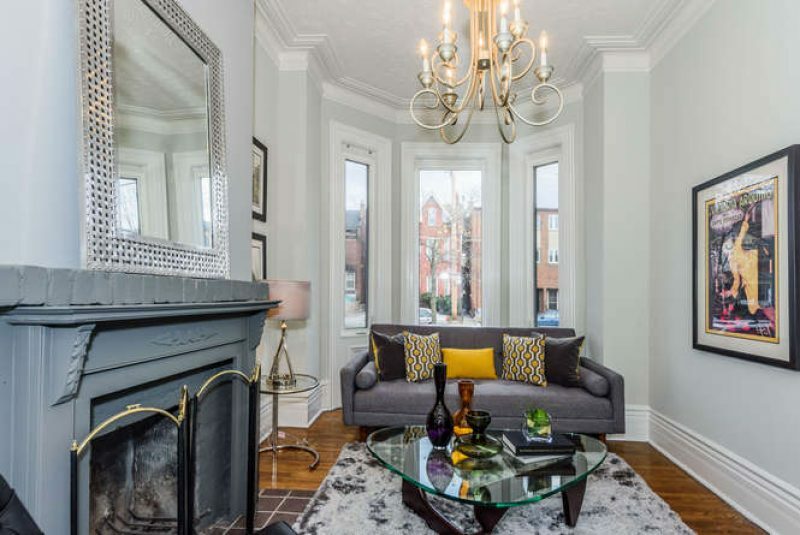 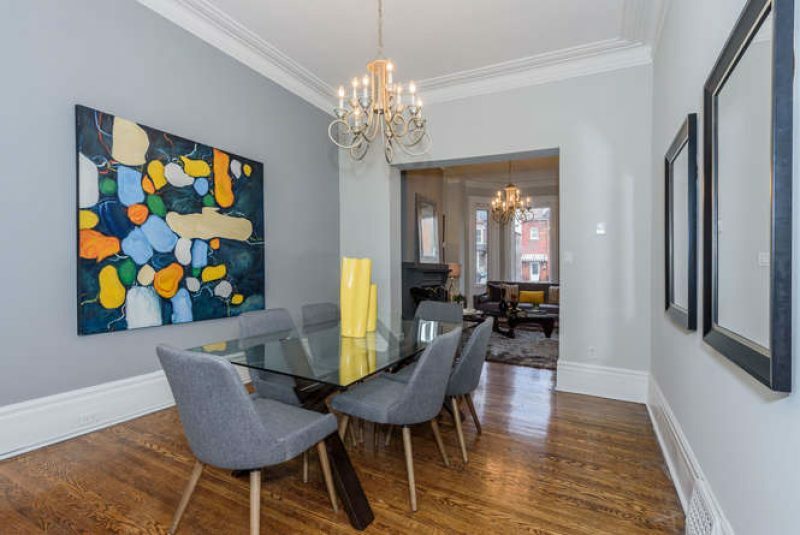 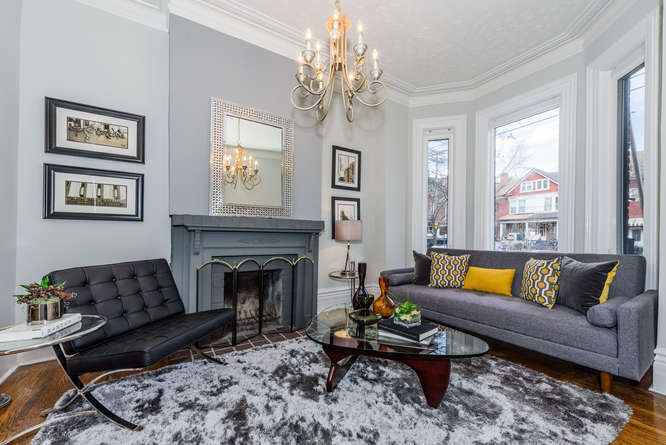 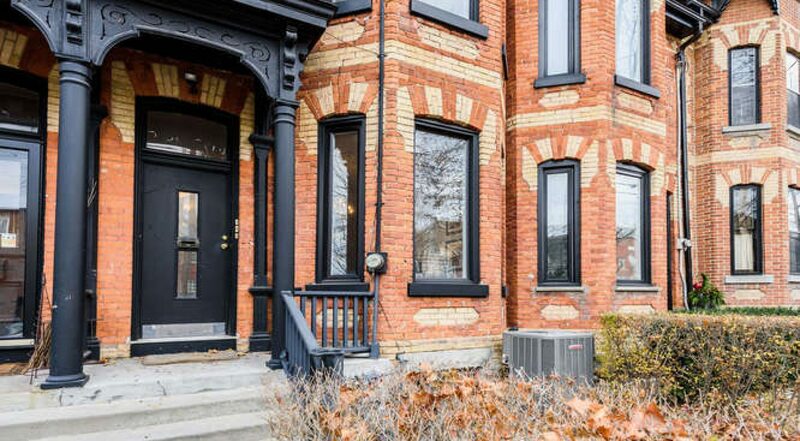 220 Shaw Street in Trinity Bellwoods is a dreamy vintage victorian Townhouse with all the elements you always expect form a Victorian Downtown Toronto Semi. 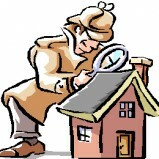 Start with Location. 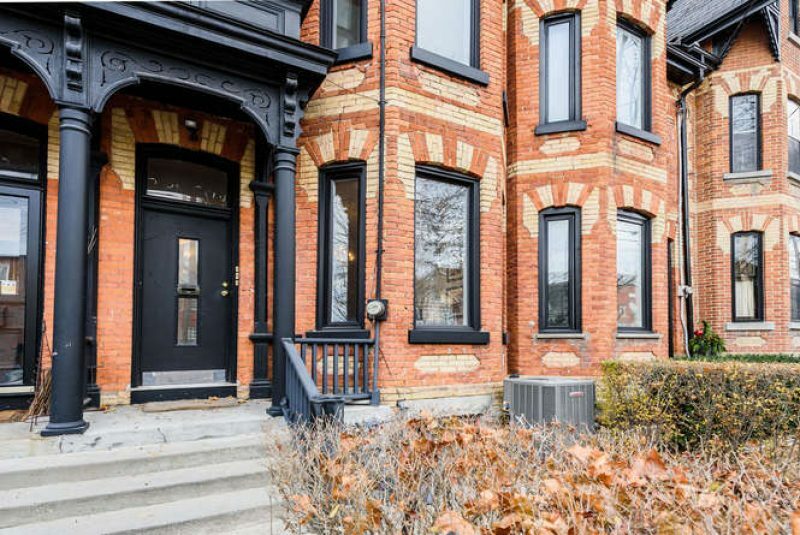 The West Queen West corridor of Toronto is home to the most coveted real estate, especially for young new families and even down-sizers to set roots. 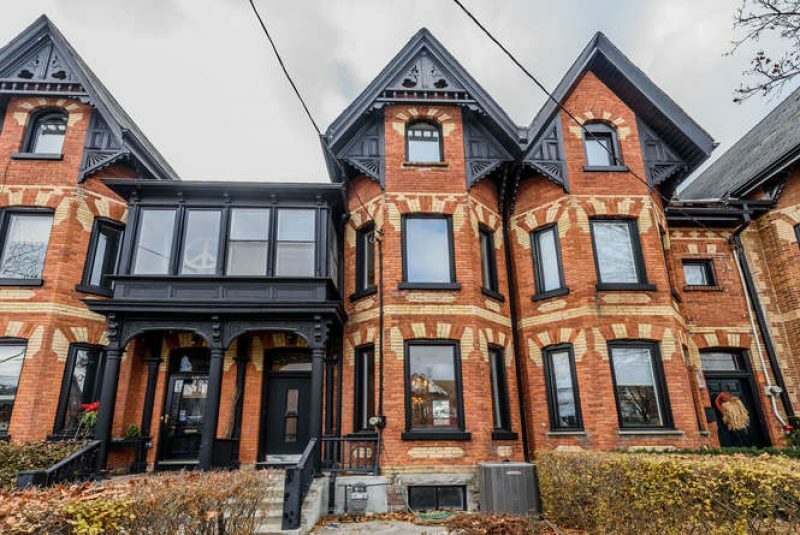 Tremendous Queen Street, Ossington, and College’s Little Italy abound with authentic restaurants, family-run cafes and bakeries. 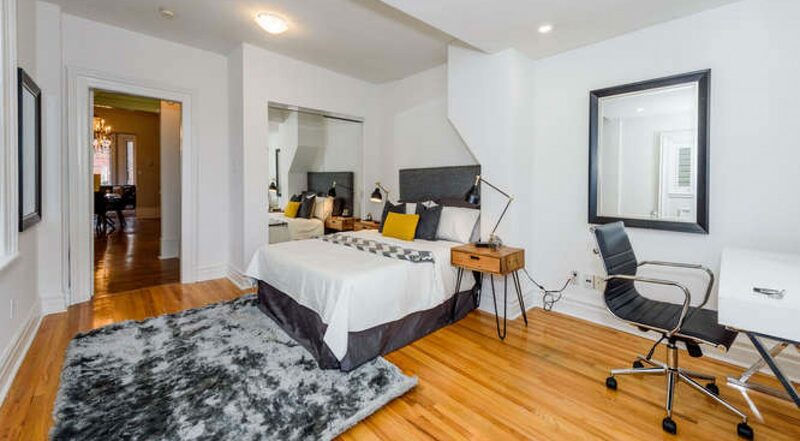 Trinity Bellwoods is the heart and soul of this neighbourhood where the modern community centre, outdoor tennis, and hockey rinks as well as weekly farmers’ markets and regular festivals elevevate your lifestyle. 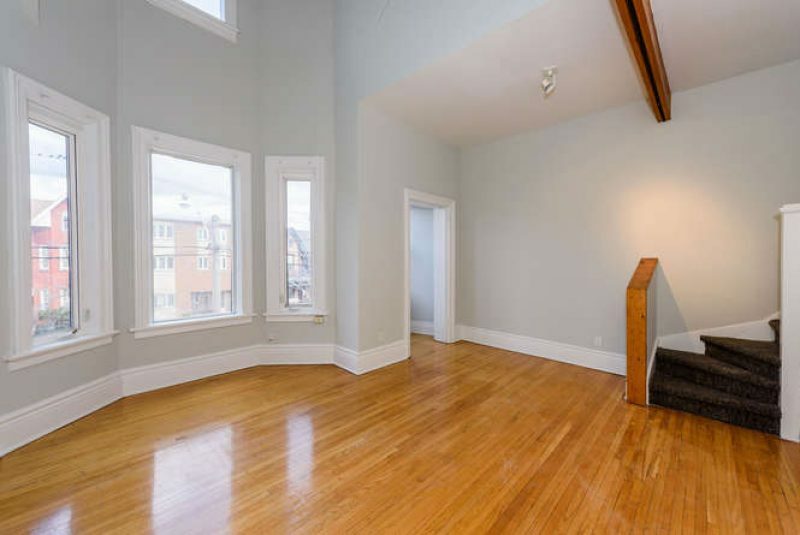 CURB: Curb appeal, high ceilings, vaulted third floor ceilings with upper loft. 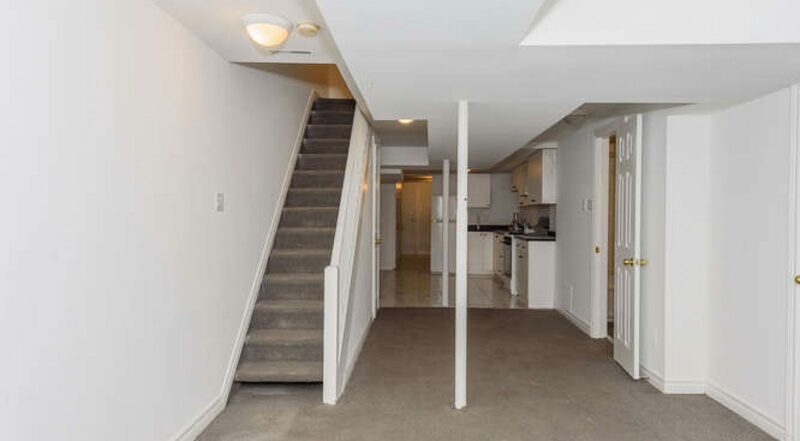 Separate entrance to full basement apartment. 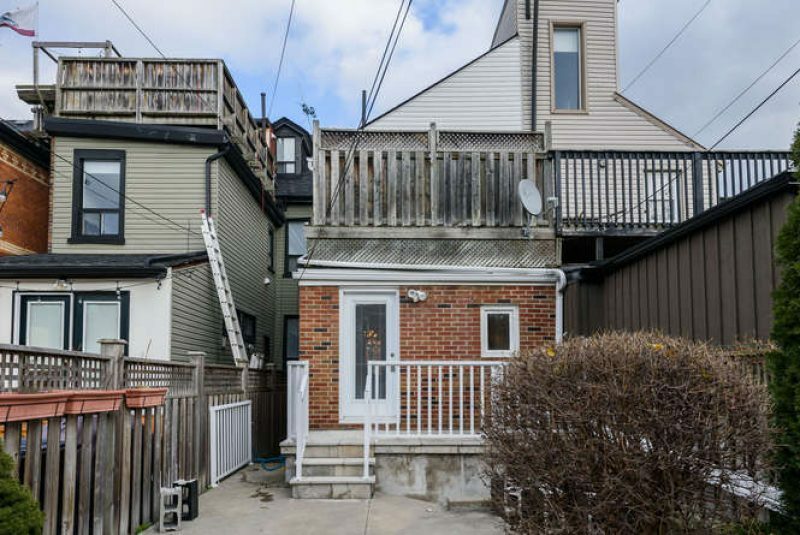 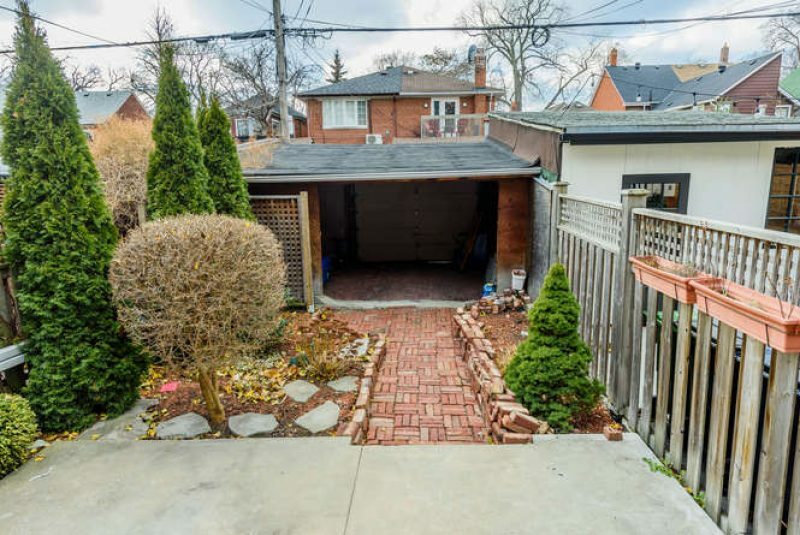 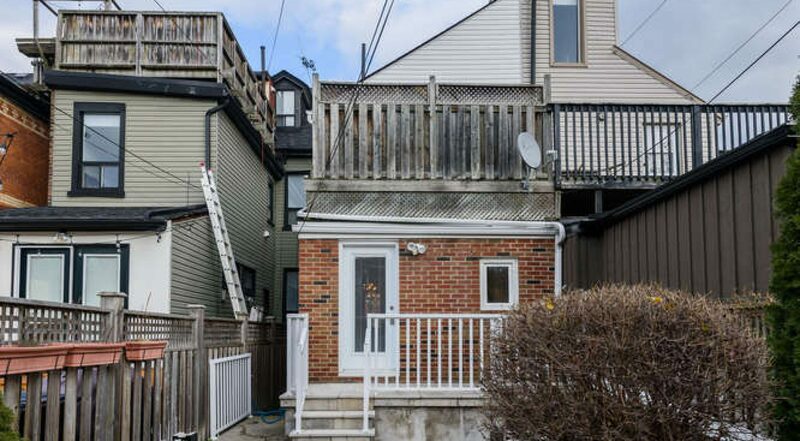 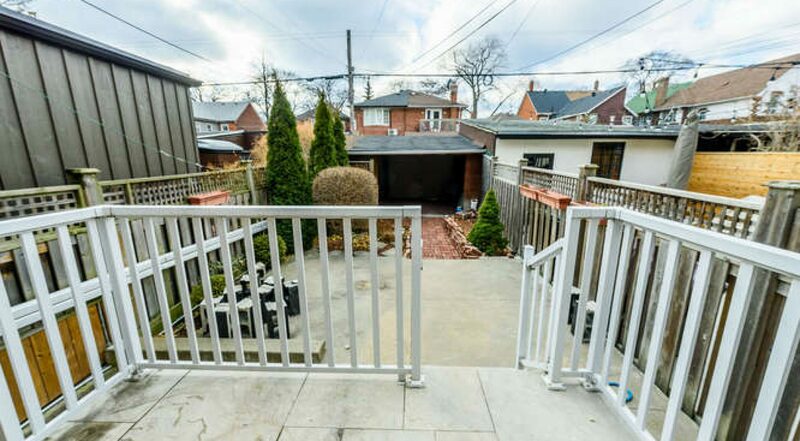 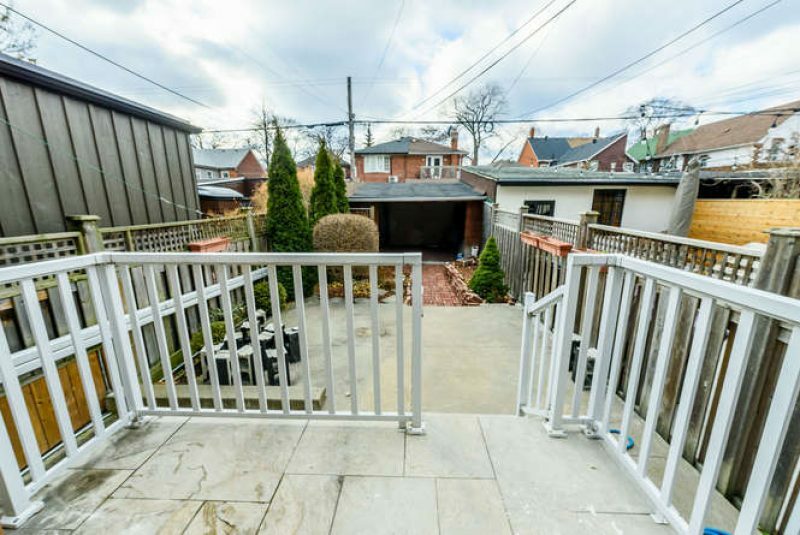 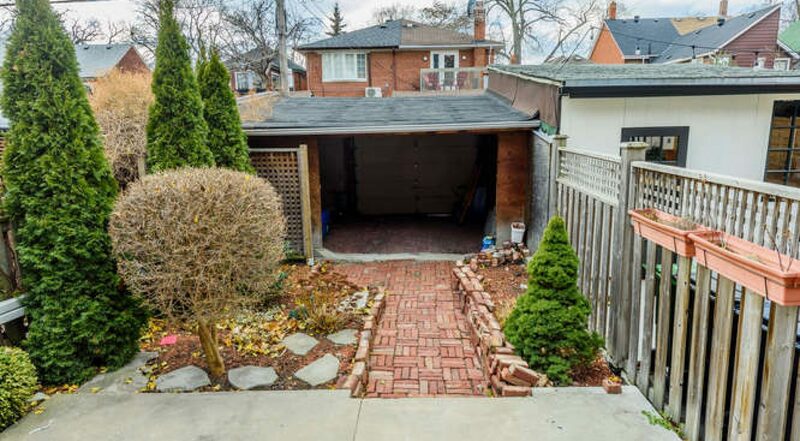 Detached garage with access to rear lane are just some of the advantages of parking you and your family to the hippest region of Canada. 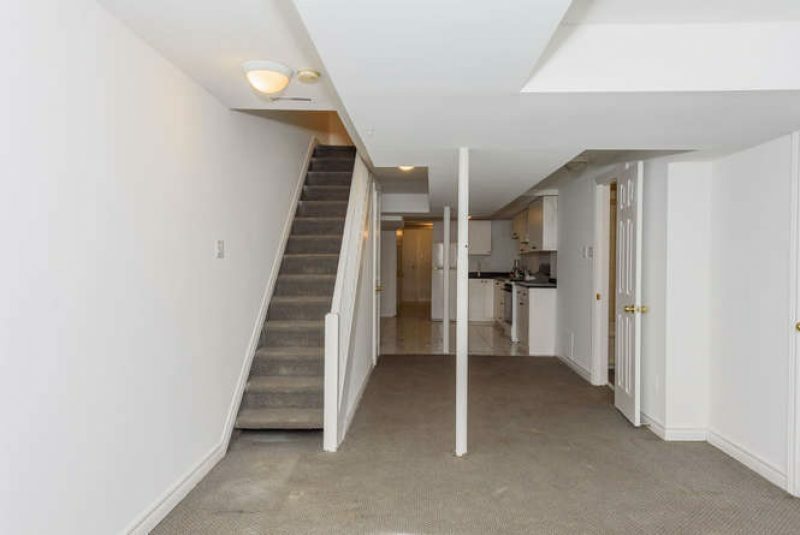 First Floor … is set up as a 1 Bedroom large apartment. 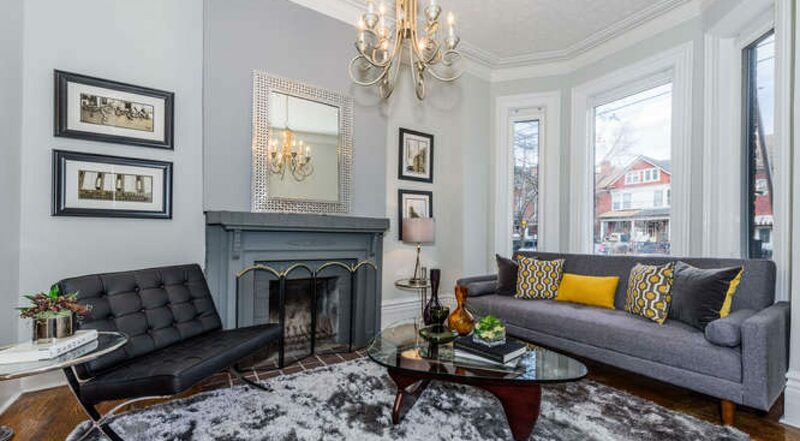 Victorian era high ceilings adorned with accents, etchings and original plaster mouldings. 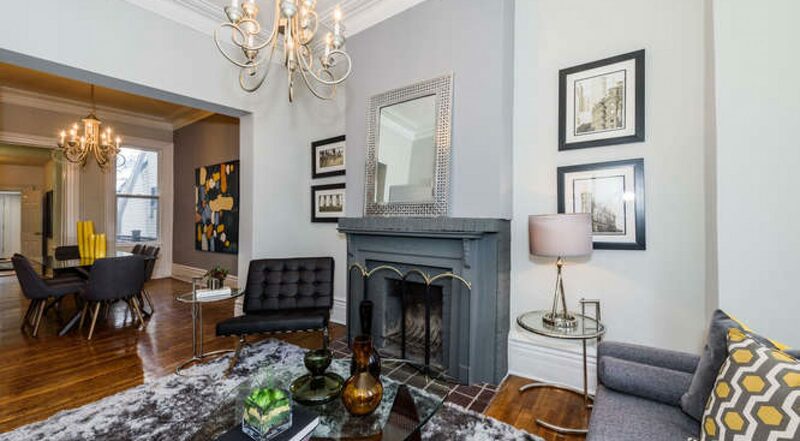 Living room is anchored with a beautiful fire place. 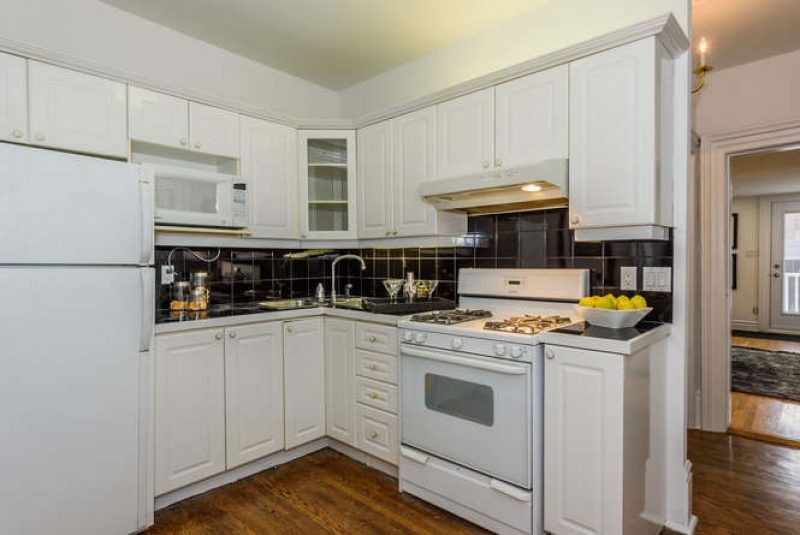 Large Dining room leads to a generous full kitchen. 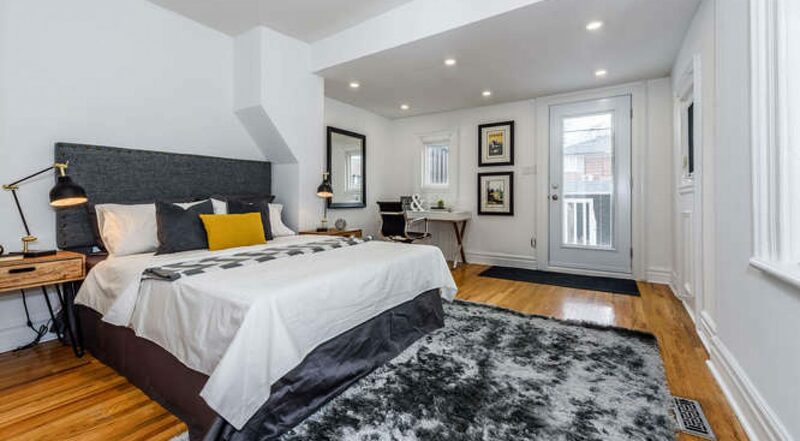 The bedroom furnished with a door to the back yard and garage. 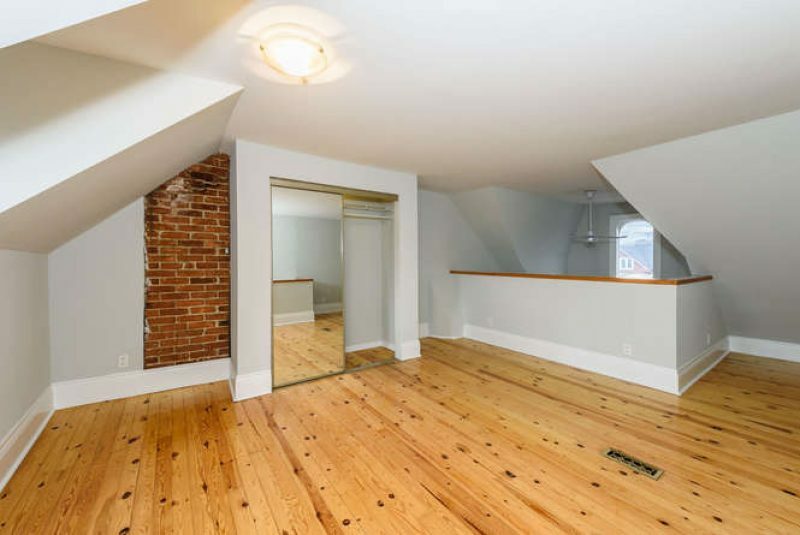 Second & Third … The largest of the units spans over entire second floor and peaks under the room as a stunning bedroom loft. 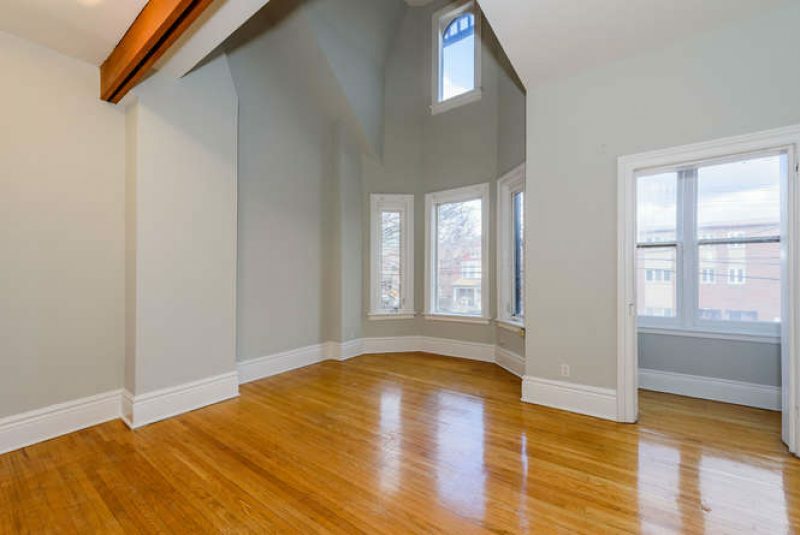 At the front o the second floor is a large family room with vaulted ceiling soaring into the rafters. 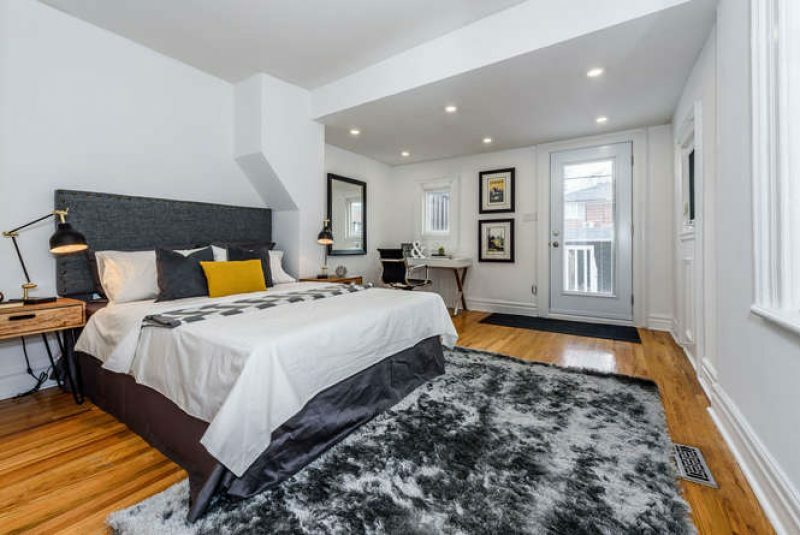 Also on this floor you will find a large first bedroom, a newly renovated 4 piece bathroom and private laundry and at the rear of the home…. 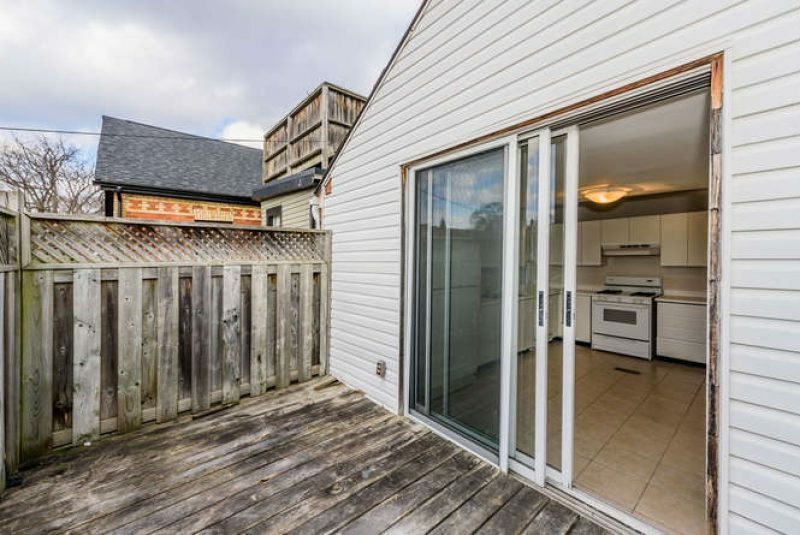 a massive eat-in kitchen with sliding door that lead to a private balcony. 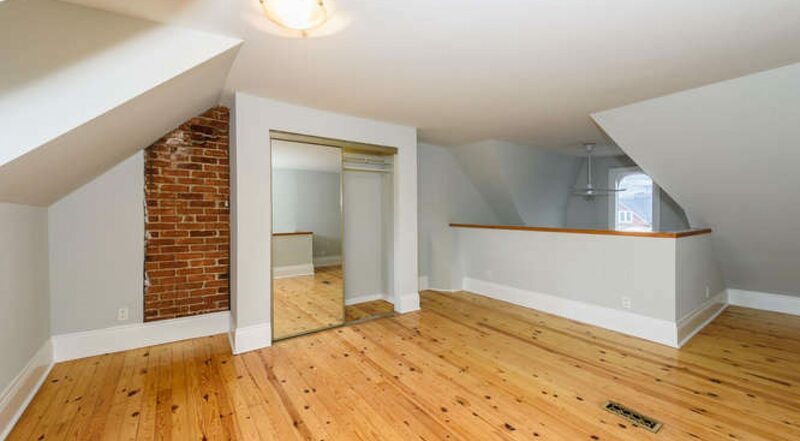 The loft … your master retreat lives here. 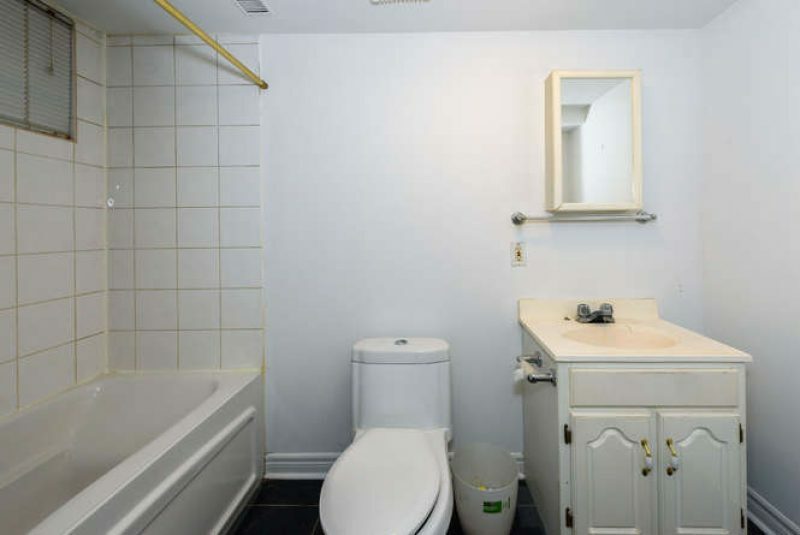 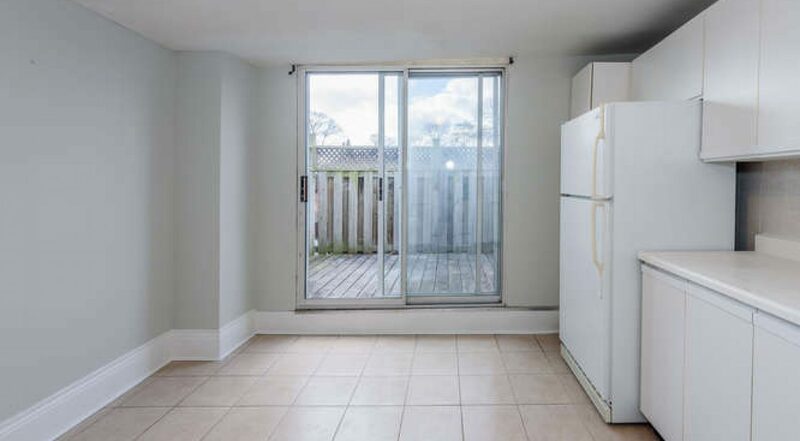 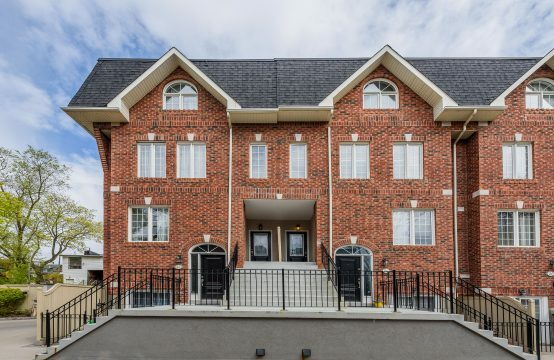 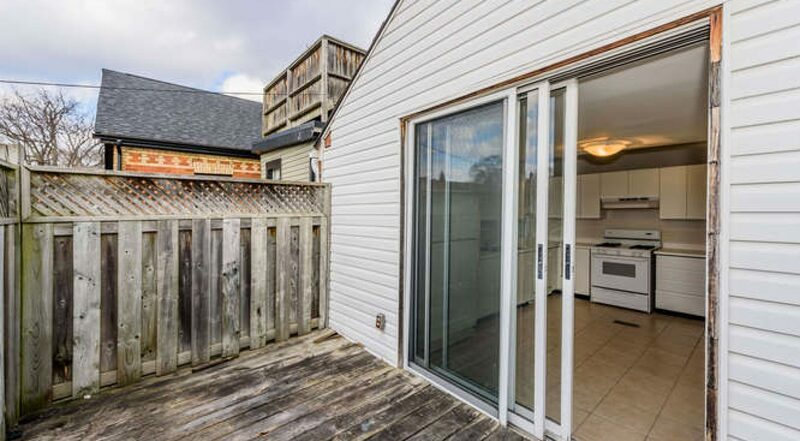 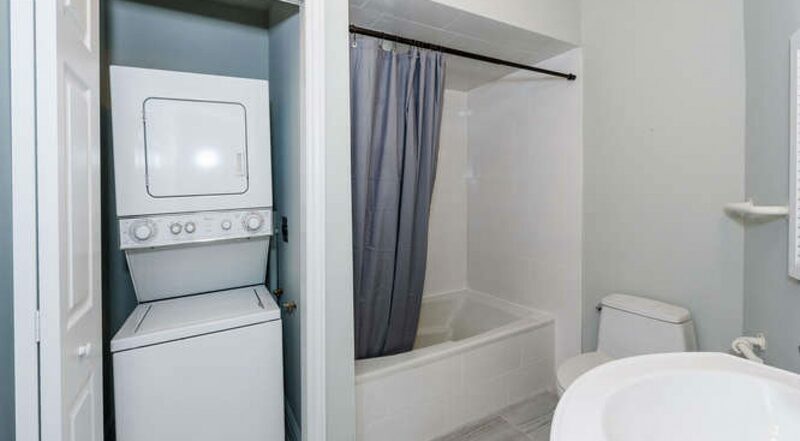 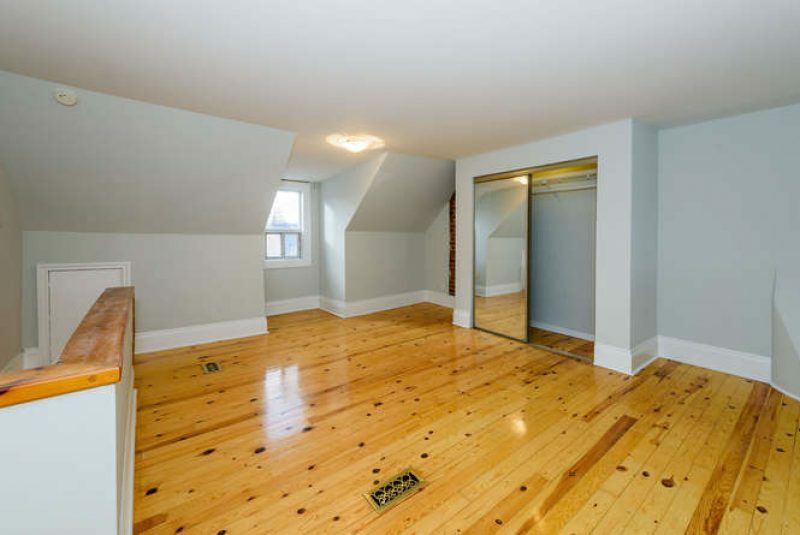 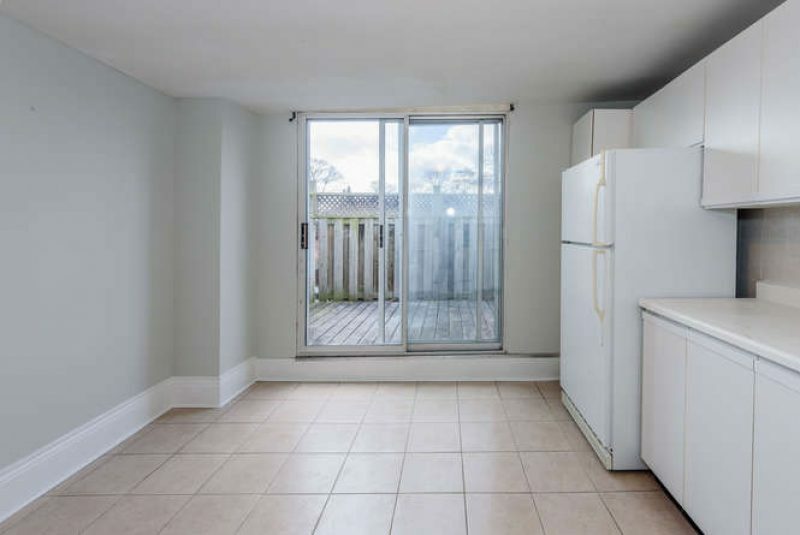 Basement Apartment … full sized basement apartment accessed via main floor entrance as well as a rear separate entrance. 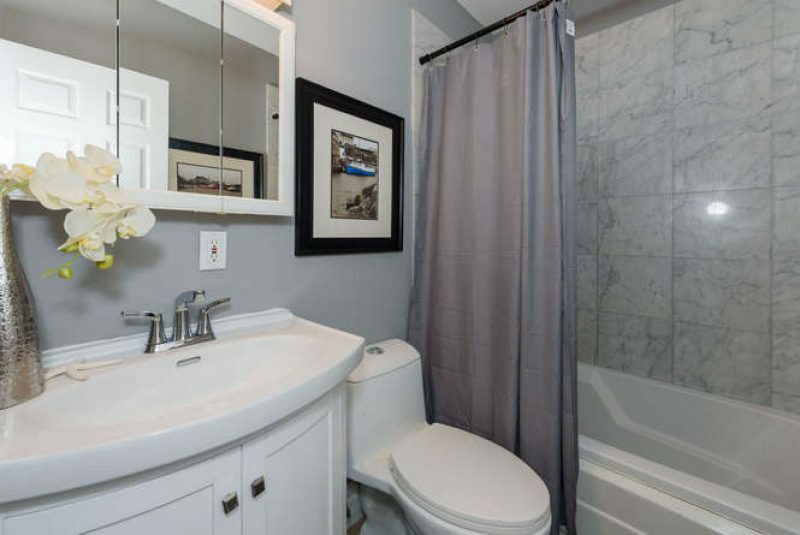 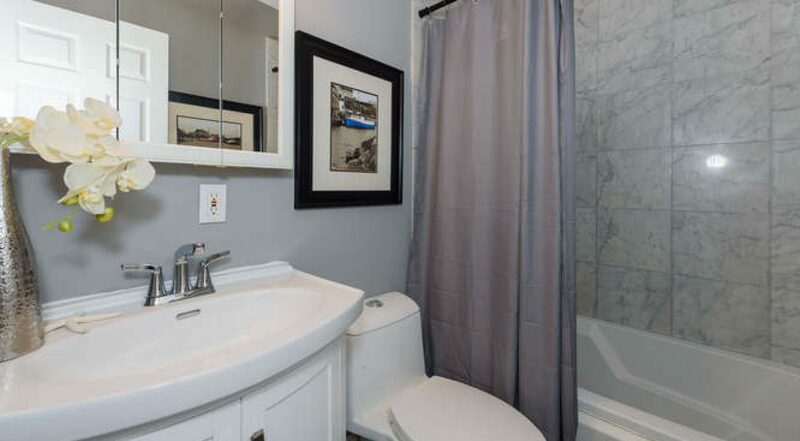 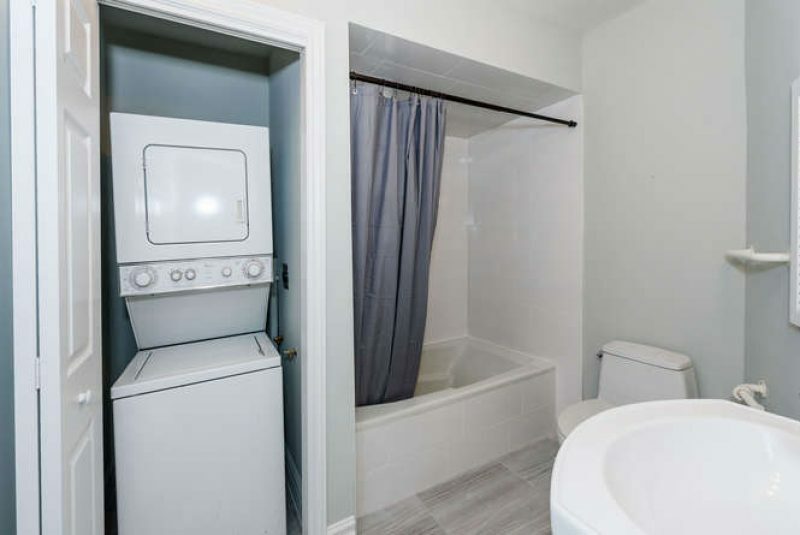 large above grade windows, 4 piece bath, large family room and bedroom – accessing the laundry room and rear exit. 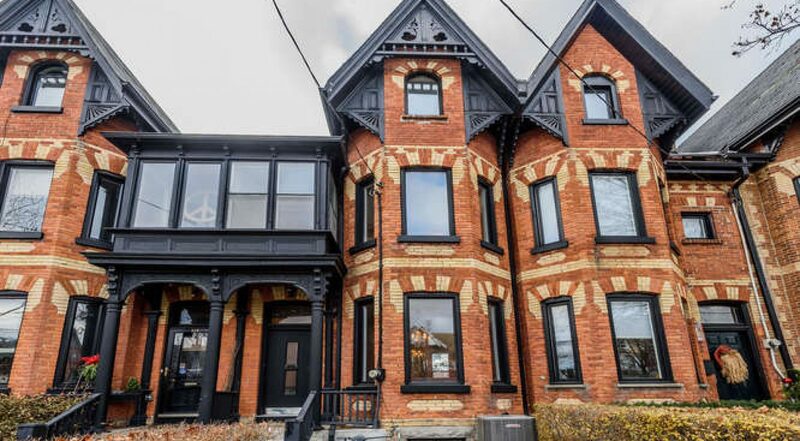 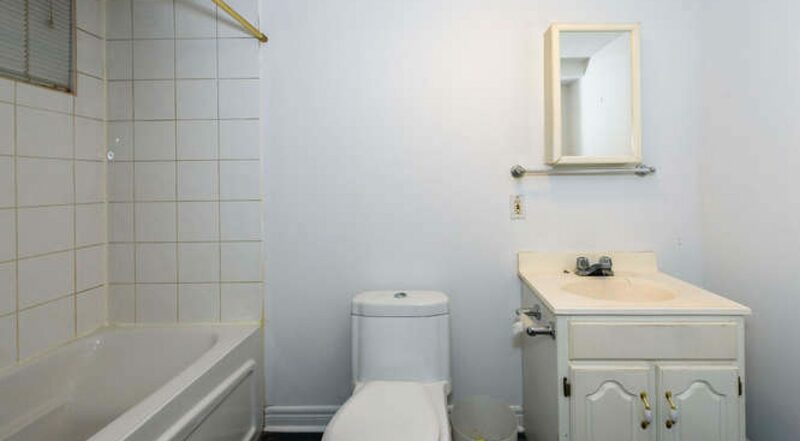 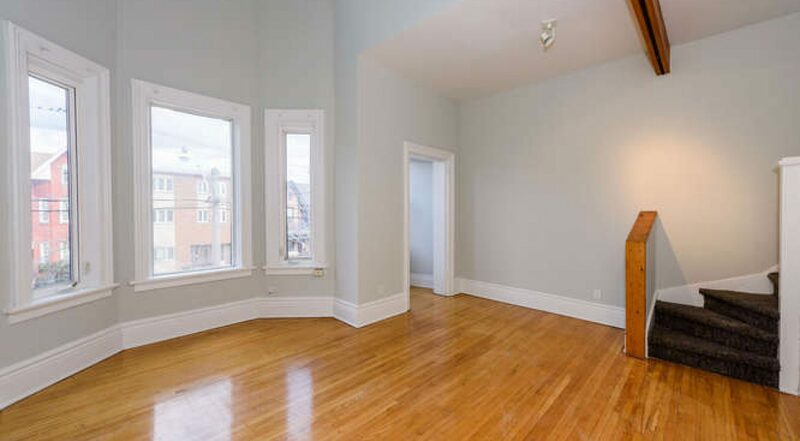 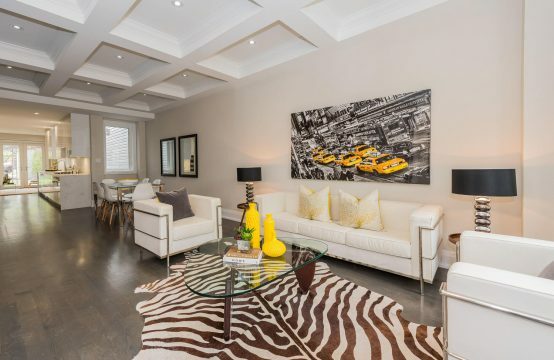 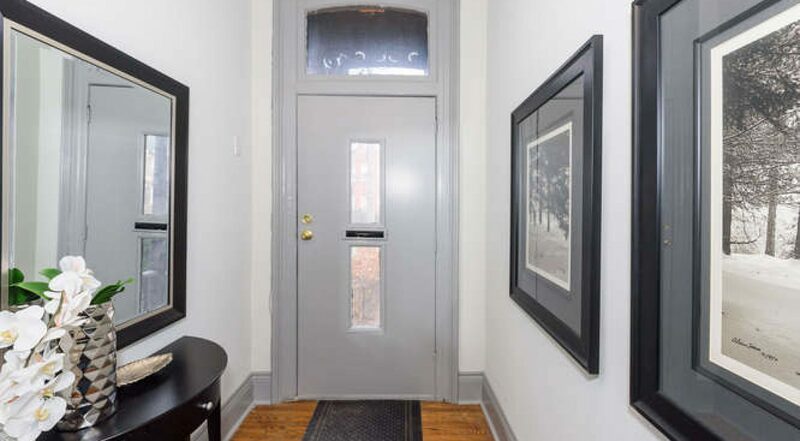 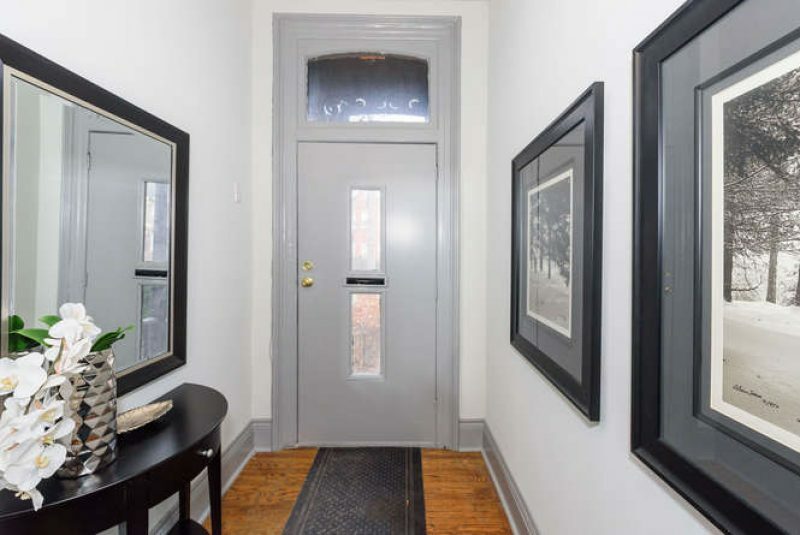 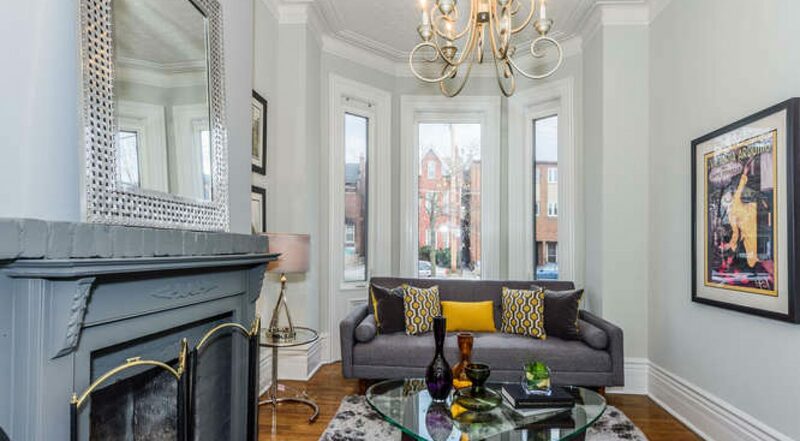 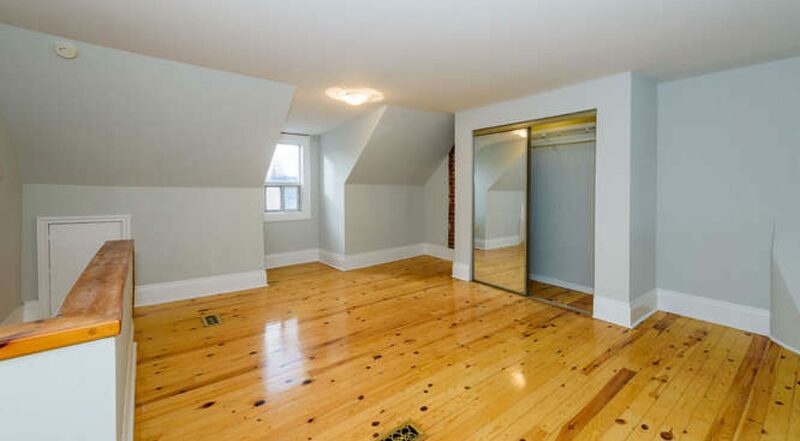 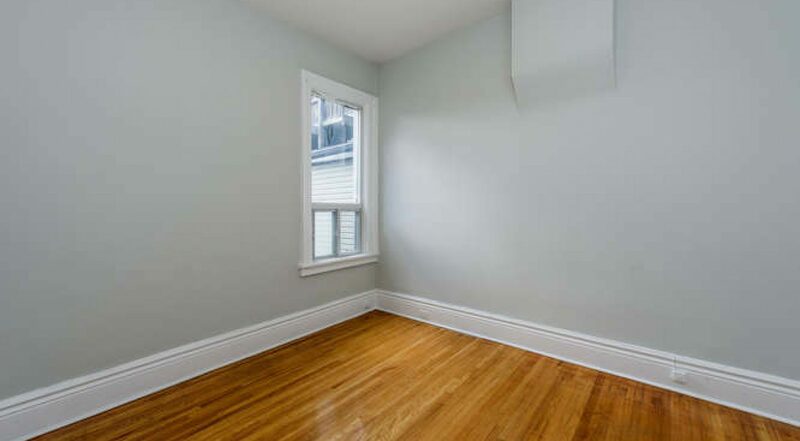 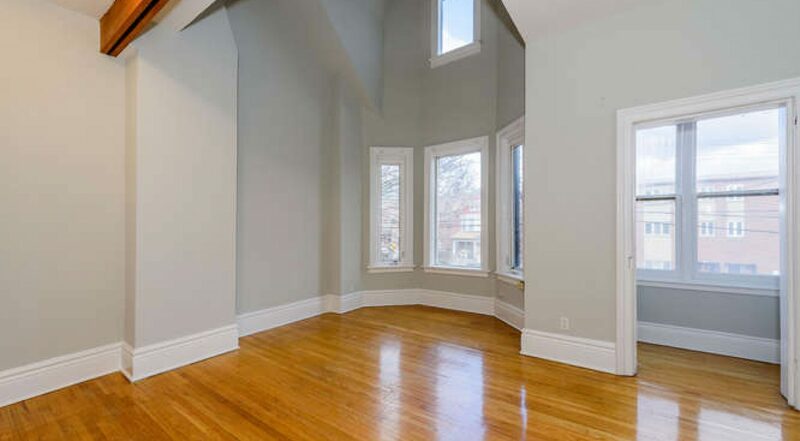 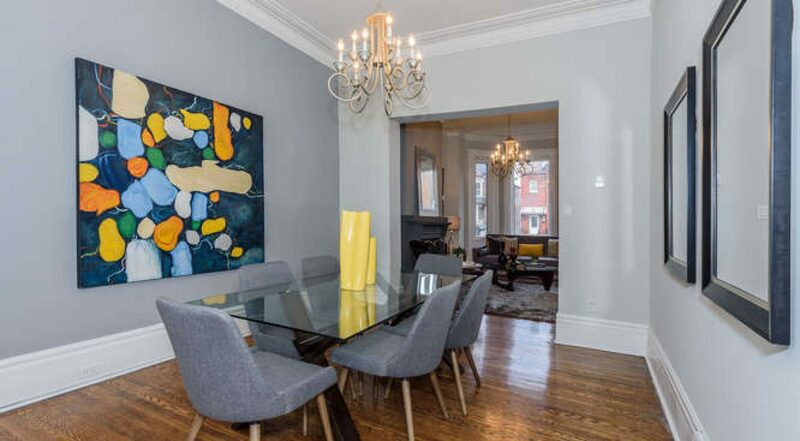 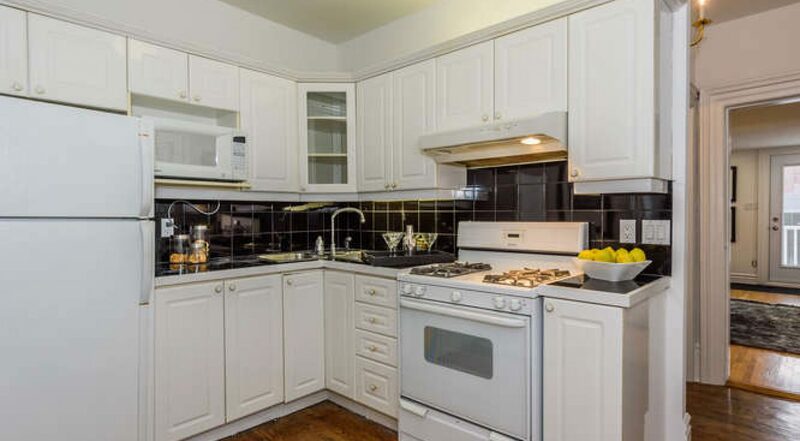 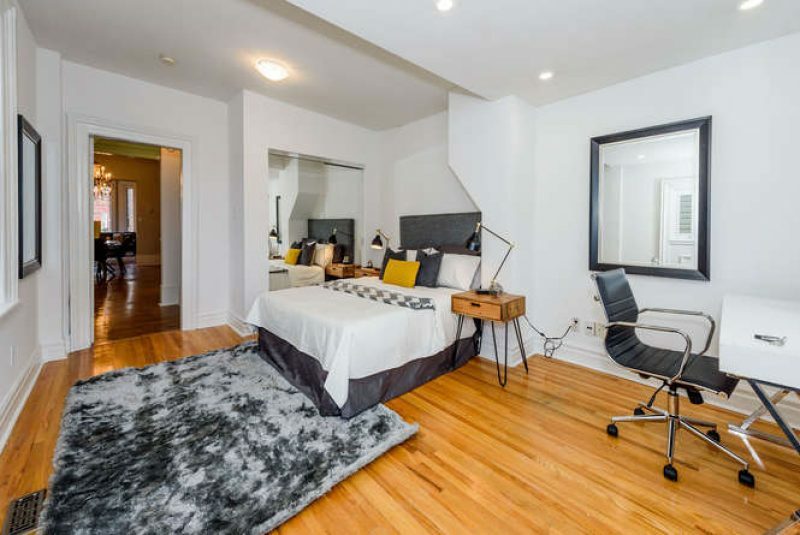 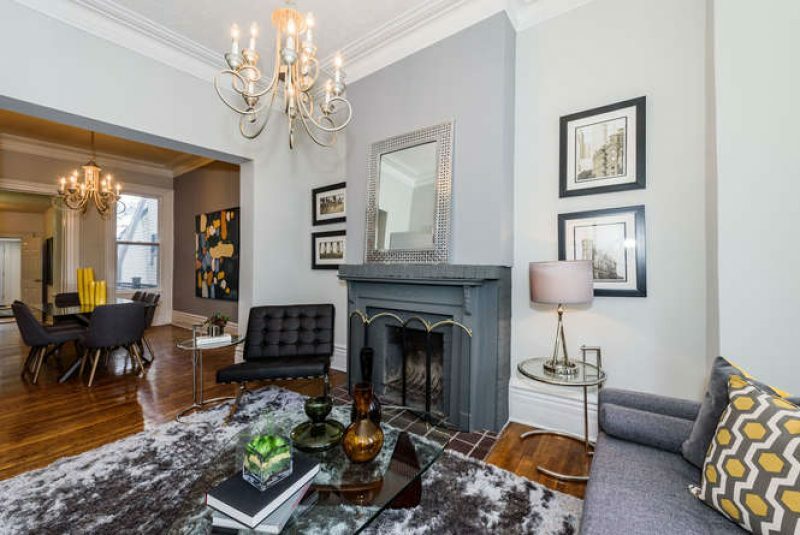 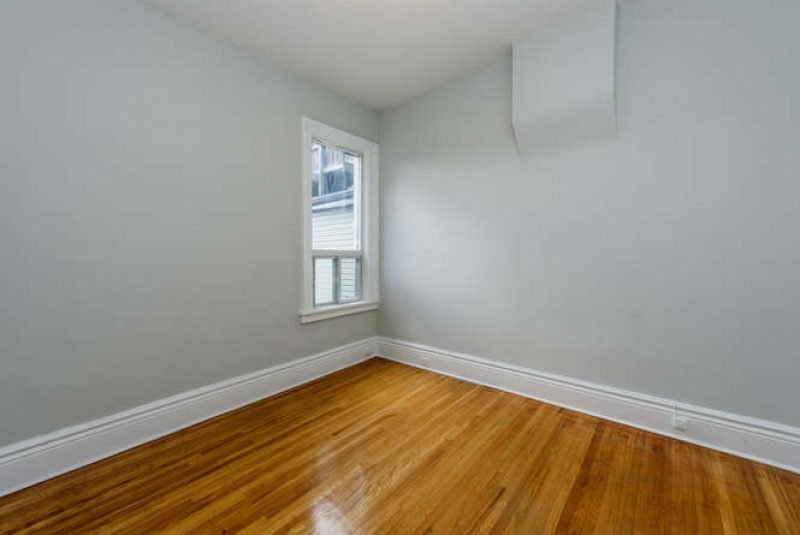 LIVE IN, RENT OUT, INCOME PROPERTY IN THE HEART OF TRINITY BELLWOODS MOST STORIED STREETS.